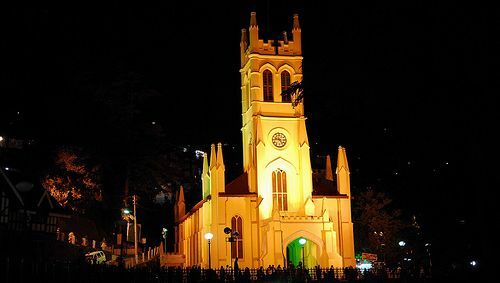 Amritsar Diocese Trust Association (ADTA) has leveled serious charges against its so-called parallel association Church of North India (CNI) of illegally operating and selling Church property including Christ Church on the Ridge Shimla, The State Library building on the Ridge Shimla and the all girls Auckland House School in Shimla. ADTA is Amritsar Diocese Trust Association which came into existence after independence. With the merger of the Church property of the Church Missionary Trust (in 1953), Kangra Missionary (in 1954) and the Janana Mission (in 1959) in ADTA, ADTA was authorized to take care of the Churches, Schools and their property (that came to it by the said amalgamation) in the states of Himachal Pradesh, Haryana, Delhi, Punjab, Uttar Pradesh and Jammu and Kashmir. The Amritsar Diocese Trust Association (ADTA) was registered in 1959-60 under the Firm and Society Jalandhar (now in Chandigarh) (registration number: 99), with its registered office in Bishop House, 12 Tailor Road Amritsar. Everything went fine for the ADTA in the next decade, but conflicts in ideologies of the senior members of the Association made peaceful things unsettling. To rectify with a consensus was reached on 20th November 1970, wherein the members united to form Church of North India (CNI) for united worship only. However, over time CNI is believed to have begun interfering in the administrative and legal matters of the ADTA. It is now believed that CNI has registered itself under ROC Delhi and claim authority over ADTA properties. The Amritsar Diocese Trust Association had warned the general public against the Church of North India, alleging them of minting money by illegally selling trust property in connivance with the land mafia at throwaway prices. He claims CNI members have sold the Trust property at many places and have also forged documents to register the Trust property in their names. 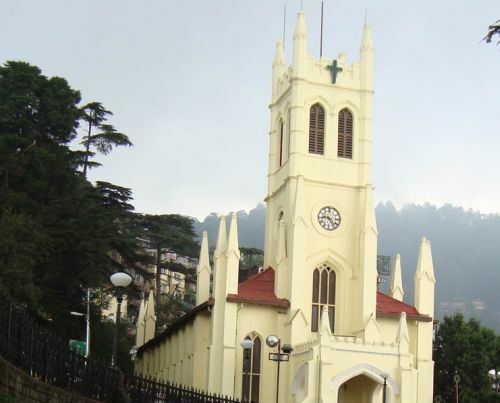 According to evidences, the Christ Church Shimla and the State Library are proven property of the ADTA, but according to the Municipal Corporation Shimla’s rent receipts the monthly rent is being paid into the accounts of CNI. God save the honesty and humanity ! 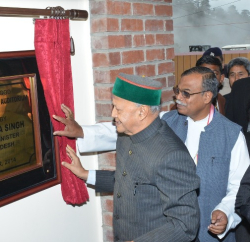 Mr samuel Prakash who had been a member of the Church of North India, and now accusing the Church in which he himself was worshipped was friendly with all the CNI Priests and the Chaplains of Simla including Rev George Harish and Rev H B S Rahi. He does not remember the Ressolution of the General Council of the CIPBC held in Calcutta, which gives permission to the diocese of Calcutta, Bombay, Lucknow, Nagpur, Assam,Chota nagpur, Bhagalpur, (now Patna) Nasik, Delhi, Amritsar, Barrackpore, Andaman & Nicobar, and Nandyal to join the Church union in North India, and the dioceses of Lahore, Karachi and Decca to join the union of churches in Pakistan this was all done in accordance within the requirement of the Costitution Canons and Rule and according to the Declaration of the Episcopal Synod. And after being satisfied by the amendment in revised plan for the church union in north india. Don’t be silly when the union of India came into existence after the independence in 1947 it was not a union to for the name sake it was a complete union with territories titles, estates and claims etc. Don’t be led by some selfish greedy self imposed co called anglicans. According to the lembeth conference and the anglican communion, the Church of North India is the real Anglican Chruch in North India and that fulfills the requirments and the basis of the Church union. You must rejoice those who were not anglicans before 29 November 1970 are now Anglicans and share the unity with other Provinces of the Anglican Communion. Amritsar Diocesan Trust Association is a property holding Trust and according to the Constitution Articles of the Association does not state that it belongs to shri Mehraj Masih, It clearly states the Bishop of the diocese shall be the ex-officio Chairman of the association. Mr Mehraj Masih make a new bishop every year, can you please tell if any of them is or was a true anglican? Most of them are either ex-communicated by the Church of north India or the roman Catholic . You can not say the Maharaja of Kashmir joined the union of India after 1947 and he left the Kashmir outside as kasmir was a independence native state. The Church is built on trust and faith and unity, unity with God with his Son our lord Jesus Christ and the Holy Spirit. Mr Prakash let us pray and work for the Christian unity and for building God’s Kingdom on earth.